Exports: $493.1 million (2011 est. ): timber, fish, copra, palm oil, cocoa. Imports: $446 million (2012): food, plant and equipment, manufactured goods, fuels, chemicals. ​Major trading partners: China, New Zealand, Malaysia, Australia, Singapore (2012). Economic summary: GDP/PPP (2013 est. ): $1.958 billion; per capita $3,400. ​ Real growth rate: 4%. Labor force: 202,500 (2007); agriculture 75%, industry 5%, services 20% (2000 est.). Industries: fish, timber, mining. Natural resources: fish, forests, gold, bauxite, phosphates, lead, zinc, nickel. 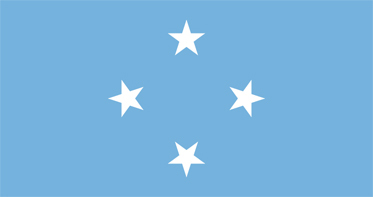 Peter M. Christian is the President of the Federated States of Micronesia elected 11 May 2015. 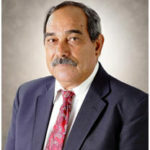 Peter M. Christian was elected as a senator in 2007 representing Pohnpei at-large and re-elected in 2011. The Federated States of Micronesia (abbreviated FSM) is an independent sovereign island nation and a United States associated state consisting of four states – from west to east, Yap, Chuuk, Pohnpei and Kosrae – that are spread across the Western Pacific Ocean. Together, the states comprise around 607 islands (a combined land area of approximately 702 km2 or 271 sq mi) that cover a longitudinal distance of almost 2,700 km (1,678 mi) just north of the equator. They lie northeast of New Guinea, south of Guam and the Marianas, west of Nauru and the Marshall Islands, east of Palau and the Philippines, about 2,900 km (1,802 mi) north of eastern Australia and some 4,000 km (2,485 mi) southwest of the main islands of Hawaii. While the FSM’s total land area is quite small, it occupies more than 2,600,000 km2 (1,000,000 sq mi) of the Pacific Ocean, giving the country the 14th largest Exclusive Economic Zone in the world. The capital is Palikir, located on Pohnpei Island, while the largest city is Weno, located in the Chuuk Atoll. Each of its four states is centered on one or more main high islands, and all but Kosrae include numerous outlying atolls. The Federated States of Micronesia is spread across part of the Caroline Islands in the wider region of Micronesia, which consists of thousands of small islands divided among several countries. The term Micronesia may refer to the Federated States or to the region as a whole.